I always like to scan Shanghaiist for bizarre stories coming out of China – this one just about takes the cake. A Chinese man tried smuggling a turtle through customs at the Guangzhou airport. Nothing too bizarre there…right? The brilliance of this story is not what he tried to do, but how he did it. 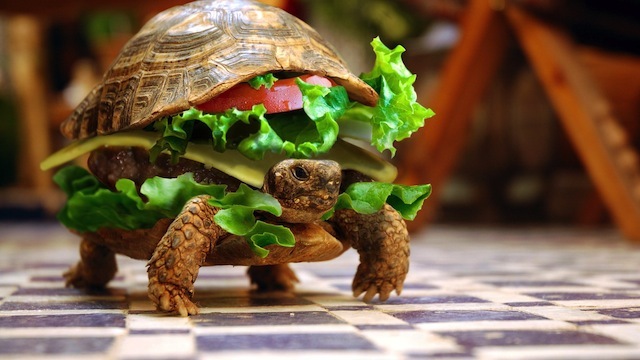 He cleverly tried to disguise his tiny amphibious friend as a hamburger. I always try to watch what I eat in China, perhaps now I’ll have to be a little extra vigilant.